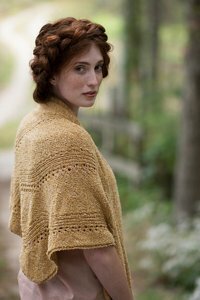 Taken from: Berroco Portfolio Vol. 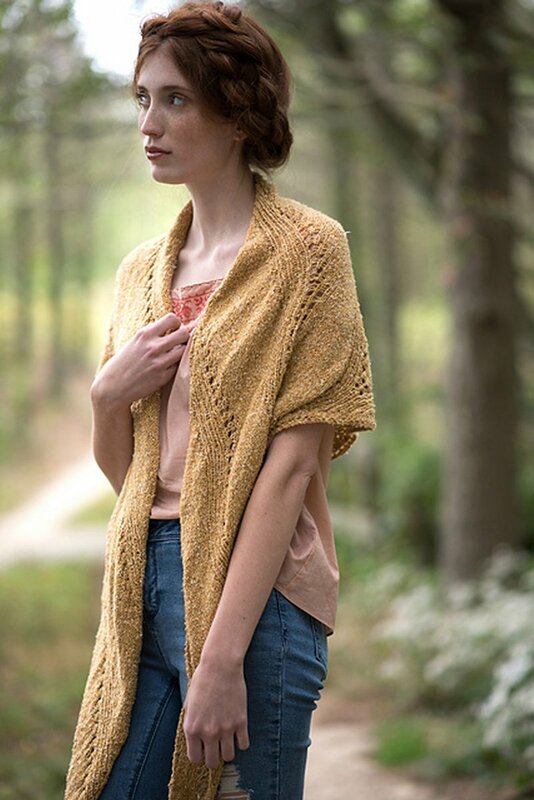 5 "Amber Waves Shawl" - A cleverly designed triangular shawl knitting pattern, this beauty begins at one tip and is worked sideways with an traveling charted stitch pattern to mimic waves of wheat on the plains. 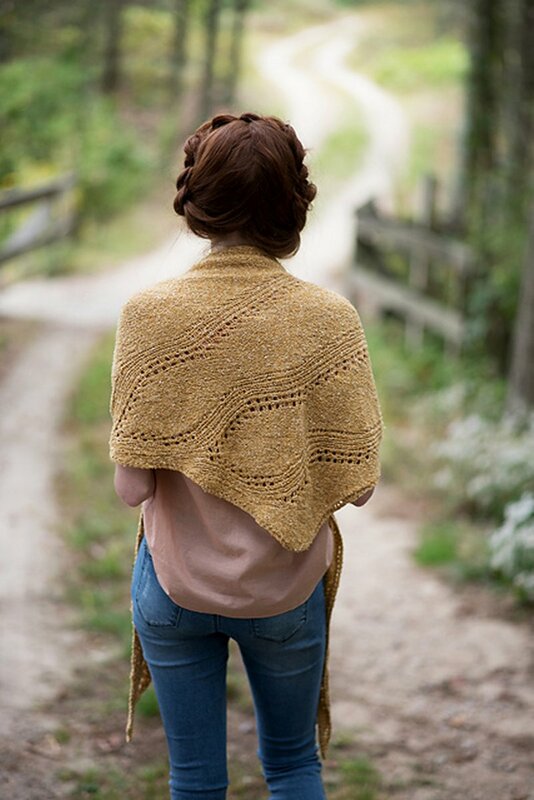 The finished shawl blocks out to more than 7 feet long, but only requires two balls of Berroco Remix Light. 32" circular needle, size 5 (3.75 mm) (or size needed to obtain gauge) is required but not included. Notions required but not included: stitch marker and a tapestry needle. Finished Measurements: approximately 88" wide x 26" down center. Gauge: 20 sts and 27 rows = 4" in St st.
Color Shown is 6922 Buttercup. 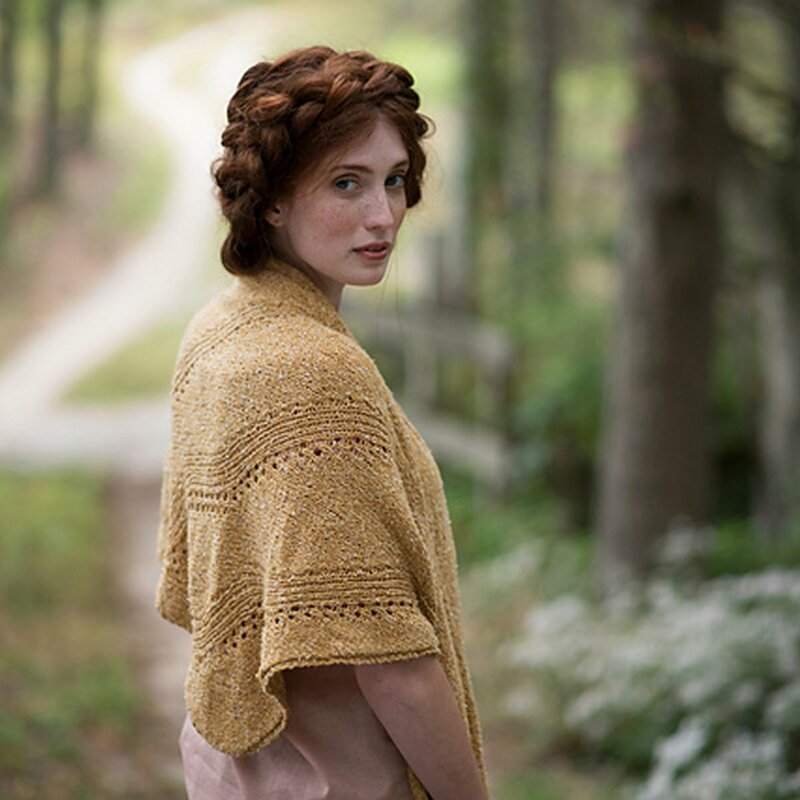 $24.00 -- Kit price including yarn only (no book or pattern). $31.20 -- Kit price including yarn and pattern.